Why should you notify anyway? Mailbox services are fantastic. 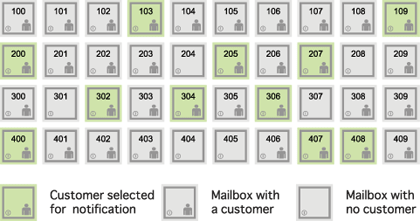 People and businesses rent virtual offices and mailboxes for a multitude of reasons. Instead of just checking for mail, they would prefer to be notified when there is mail. Service providers have adapted to customer's changing needs by allowing them to call-in to have their mailbox checked. Some even go as far as typing an email to each customer that received mail. This takes up too much time and there is the possibility for errors. Copyright © 2014 Pick Yours Up Corporation. All rights reserved.